Smart Unlock : Skip lock security while connected to a trusted Wi-Fi or Bluetooth devices. Smart Unlock will help you to use your mobile hassle-free at safe areas, similar to android lollipop smartlock, and will keep your phone secure when required. No slide, pin, pattern or facial recognition will be requested while connected to trusted devices. This will keep your phone operation handy, and will allow you to go to your homepage directly. When you disconnect from your trusted devices, your phone will automatically go back to its default lock security. You can unlock with wifi on unlock with bluetooth. 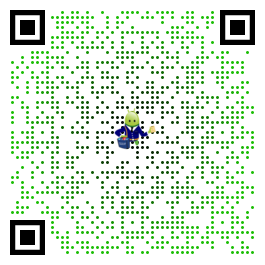 ( NFC unlock feature and location based safe areas coming soon). 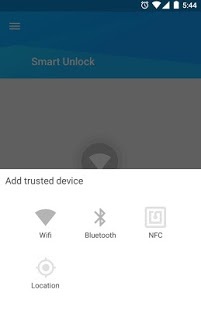 Smart Unlock app extends default functionality of android 5 Smart Lock by adding trusted WIFI as a key feature. Tired of entering your lock pattern over and over? Most of the time we use our phones or tablets at safe places where the security is not required but we keep the lock patterns just in case for the few times where the device can be lost or stolen. Smart Unlock app can offer you a friendly solution for this problem, when you are at safe place (like home or work) you can skip this password formality. It will save time and it will protect your valuable peace of mind, especially when you are driving your car or you are enjoying your favorite show with your family members. This app bypasses both the slide and the secure lock screen when enabled, meaning if you press the power button to wake the device, you’re immediately shown your home screen. This is a FREE 7-day trial, and then you can buy the full version of smart unlock by app purchase (1,99 USD). Download the app now and enjoy better freedom and confidentiality with your mobile! We can not make the app to work with most SAMSUNG phone because they have modified the lockscreen keyguard native in android. Only working properly on samsung google edition or with custom roms like cyanogen. Sorry about that, we have purchased a Galaxy S5 with touchwiz to find a workaround for this. We are working to find a solution. NOTE: Bluetooth Low Energy (BLE) are not supported yet, we are working on it. In the meanwhile you need a normal bluetooth device like Car audio, Parrot or any BT loudspeaker. The bluetooth device must be paired/connected to the phone os tablet. If you have any questions, please visit XDA Smart Unlock forum. I love this app it’s simple easy to use and works flawless for me great job worth every penny.